SunVote Audience Response System Brazil Tour brings you to passionate South America! Regarding travel, the idea of SunVote Voting Clicker is “Global vision, lifelong learning”. 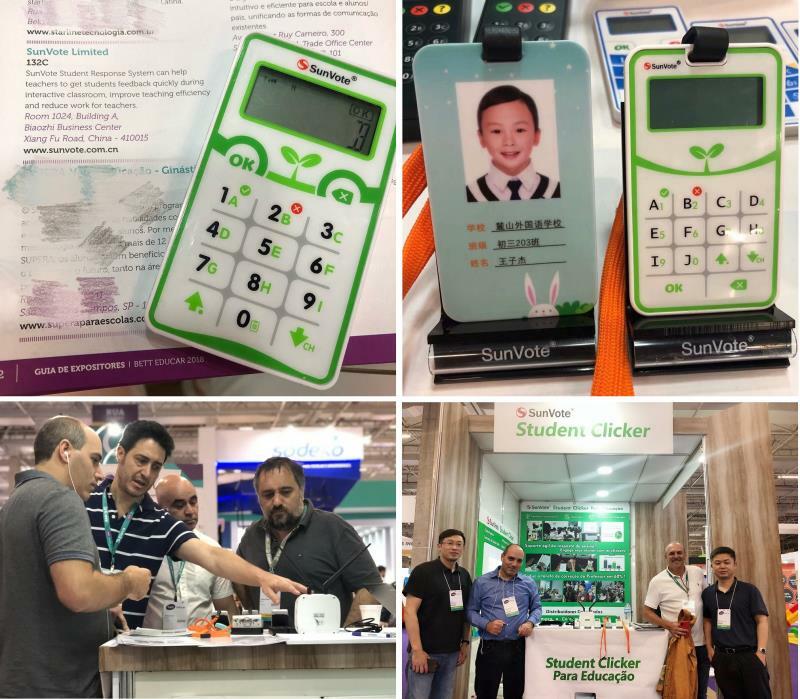 Take the opportunity of 2018 BETT EDUCAR Brazil Educational Technology Equipment Exhibition, the SunVote team has visited Brazil, the largest country in South America for the first time, and brought Classroom Response System, Audience Response System to exhibited at Sao Paulo Expo at the Sao Paulo Convention Center. During the stay, we savored authentic Brazilian cuisine at the customer's gracious invitation. Brazilian barbecue Churrasco, black beans meal Feijoada, fried chicken bag Coxinhas, Brazilian country girl cocktail Caipirinha... After the four-day exhibition ended, take a two-day tour of Rio de Janeiro. 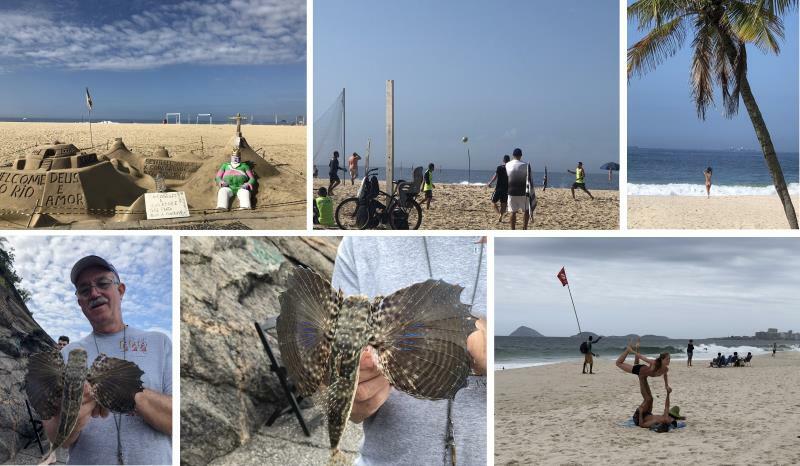 Visit Christ the Redeemer, a bird's eye view of Rio, the famous Copacabana beach, see sea fishing, beach football, and hot girls. The journey is short, but the experience must speak out! 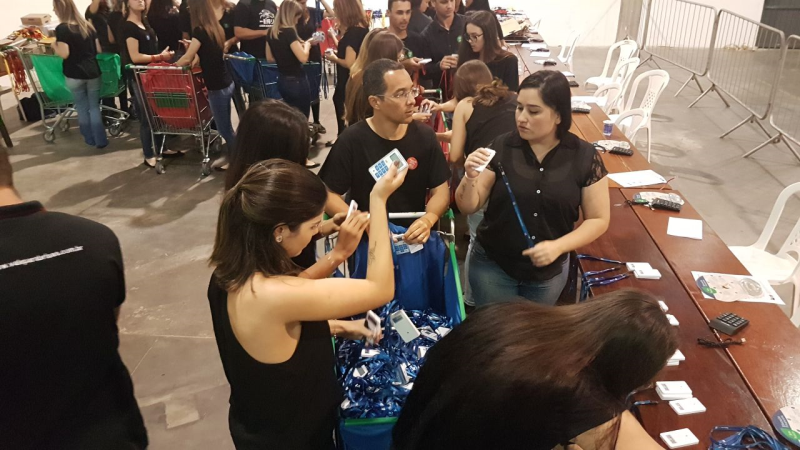 Although this is the first time in Brazil's trip, the SunVote interactive voting device has long been on the Brazilian market for eight years, often appearing in various types of local medical and financial, property and other meeting sites. 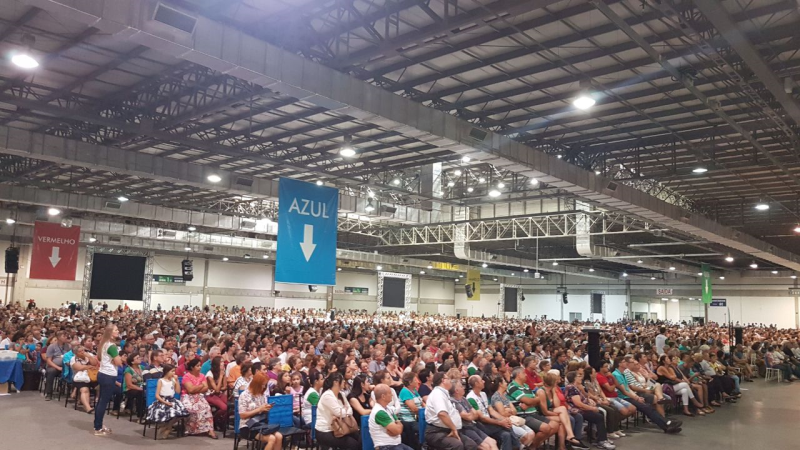 The normal scale of the conference is 800-1000 people per session, with the largest number of participants reaching 6,000 participants and participating in a total number of 3,500 voters. The SunVote voting system has a very good reputation in the field of Audience Response System applications. 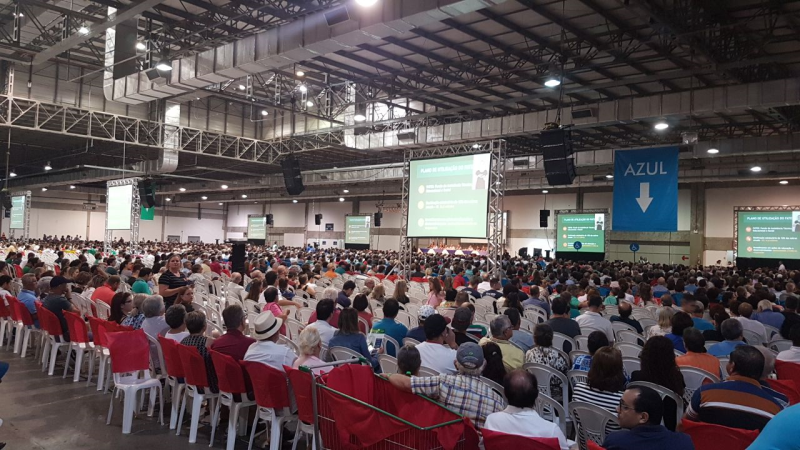 Attached to a real case of The Annual General Meeting of 6,000 shareholders' meeting, 3500 shareholders were authorized to participate the meeting, and vote on the meeting with electronic voting device on-site. The spectacular scene of Electronic Voting Keypad was distributed to 3,500 people. At the general meeting of the shareholders, 6 resolutions were voted at the scene. The number of votes received fully met the organizer’s requirements. The voting results were announced immediately. This not only saved time for counting votes, but also publicly notarized, and shareholders' rights and interests were fully protected. Well, not to talk about travel tips, how does it become marketing SunVote audience polling device? Let’s get in back to the point, let's start talking about Brazilian cuisine! 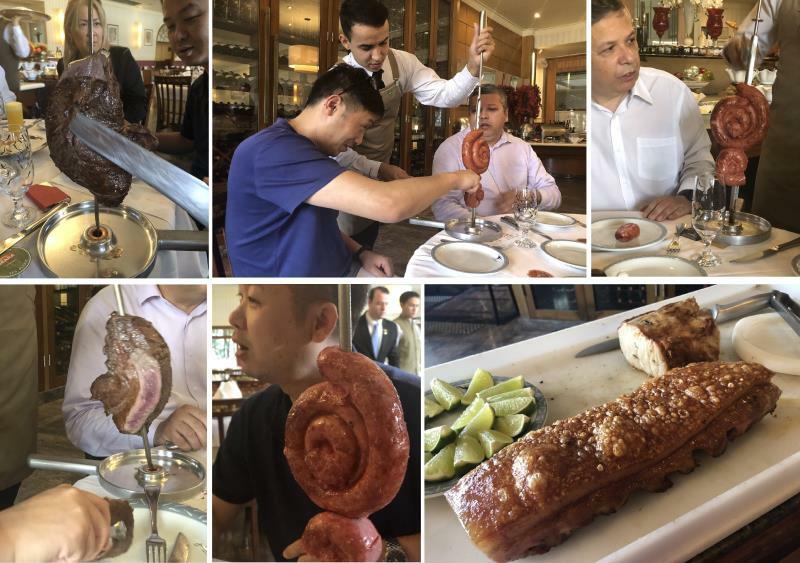 After flying for two days and nights, we arrived at Sao Paulo on the first day and rushed to the first client's dinner (Brazilian barbecue). Because of the time difference, at first, we want to sleeping eagerly, but the meat appeared once every 30 seconds. We must eat on and on, and then wake up…We found there is a round card on the table. Green means meat can be appeared. Red means no need meat…Turn over the card immediately after knowing it! About Brazilian barbecue, a few more snacks were eaten. The conclusion is that authentic food may not be suitable for the Chinese stomach. However, it is still good as a natural experience... Later, in Rio we taste seafood Brazilian barbecue. 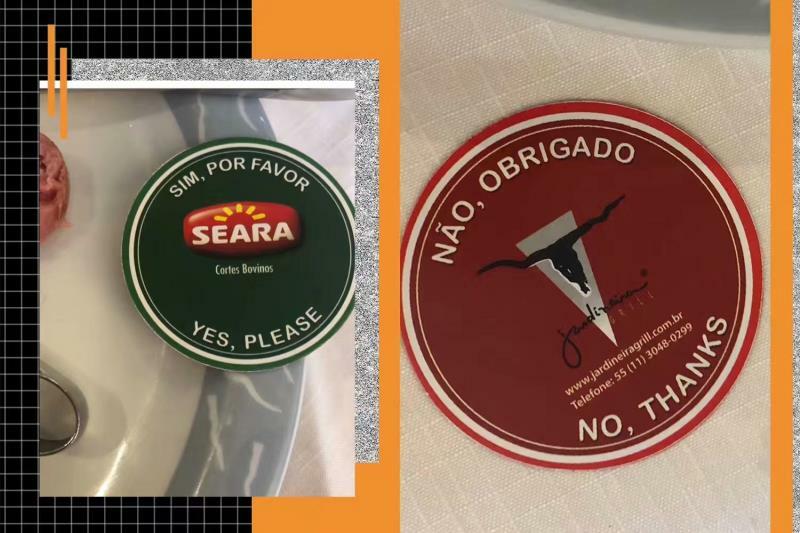 There is many seafood Brasilian Barbecue, recommend a seafood barbecue restaurant named Marius Degustare, pirate style decoration, very unique, there is a copy of Ronaldinho brother inside service you meat! At the beginning we tried to call Uber on the mountain. As a result, four drivers break their promises, and an hour was wasted. Later, we changed our strategy and took MiniVan+ taxis at the entrance of the park. The total cost was twice expensive, but it was safe. It is lucky to return to the hotel! PS: The Brazilians driver is in a fierce race. Each is a natural racing driver. The roads on the road to Monte Cristo have been moving at full speed. There are often fallen trees in the rainforest along the way. The roads are not wide, and the bends are always on the road. And always a car appeared in the corner ... In short, a little bit scared, no matter sit which row , remember to fasten the seat belt! Mount Jesus, also known as Camelback Mountain and Monte Cristo, officially named Kokovado, it is at 2,310 feet above sea level and 709 meters high. The Catholic Jesus, like the famous Brazilian sculptor Val Costa and his companions, spent a full 5 years to complete in 1931. In commemoration of the independence of Brazil for 100 years, Christ was 38 meters high, 28 meters wide and weighed more than one. Thousand tons, Jesus standard facing the blue waves of the Atlantic Ocean, his arms wide open from a distance, like a huge cross, looks dignified, majestic. There are many experiences about Brazil. There are more than a few words to say. Although there is a bit of an anomaly, but as the space is limited, let’s leave the wonderful to the next phase. At the same time, please expect [SunVote South Africa Tour]! 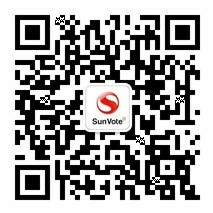 The article is from [SunVote Limited: Audience Response System, Voting Keypad, Student Clicker manufacturer, www.psunsky.com.cn], please indicate the source.